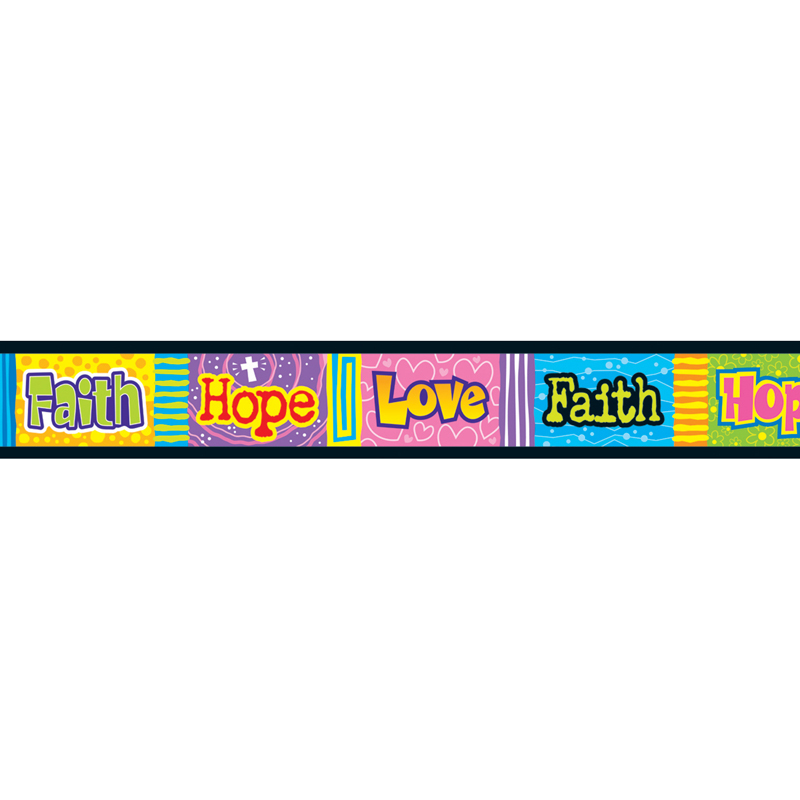 Christian-themed straight-edge borders add a radiant touch to bulletin board and wall displays. Precut, durable, reusable. Fun for craft projects too! 2.75" x 35.75' per pack. Includes 6 packs.